At St Martin-in-the-Fields, we are proud of the vocal ensembles that are nurtured within our walls. Our liturgical music making is led by our Choir, Occasional Singers and Children’s Voices. We have two choral training programmes, our Choral Scholarship scheme and St Martin’s Voices Fellowship programme. Our programme of cultural activity is led by our professional vocal ensemble St Martin’s Voices. St Martin’s Chorus perform at many of our choral concerts. St Martin’s Voices is our flagship professional ensemble of talented singers who come together to sing world-class concerts and special services at St Martin-in-the-Fields and beyond. As well as their extensive concert and broadcasting programme, St Martin’s Voices explore the great classical music of our religious heritage at Great Sacred Music, a free event every Thursday at 1pm. The newest development to the music programme at St Martin-in-the-Fields is the St Martin’s Voices Fellowship, an advanced training programme for emerging professional singers. The Choral Scholars of St Martin-in-the-Fields have an essential musical role at St Martin-in-the-Fields. Each year up to ten scholars – many of whom are music college students or graduates – are appointed to sing at midweek services at St Martin’s during term time. They also gain concert experience through our lunchtime and evening concert series, and benefit from an extensive programme of training in different aspects of church and choral music. The Choir of St Martin-in-the-Fields is an outstanding liturgical voluntary choir of 25 singers, rooted in Sunday worship at St Martin’s. In addition, they sing for the worship services at all the major church festivals, including Advent, Christmas, Holy Week and Easter. The Choir is well known for its broadcasts on BBC Radio and TV recordings, tours and concerts. St Martin’s Chorus is the newest choral ensemble at St Martin-in-the-Fields, founded in April 2015. It is a voluntary chamber choir, drawing from a pool of around thirty singers, that performs concerts of both major choral works and more intimate, small-scale works. The Children’s Voices of St Martin-in-the-Fields was formed in 2014 and has quickly become an integral part of the St Martin’s musical community. This choir of 7-13 year-olds has joined our existing ensembles to regularly enhance our music-making at church services and concerts whilst providing invaluable musical training for its young singers. The Occasional Singers aim to advance the culture of enthusiastic participatory congregational music at St Martin’s, worshipping and gaining enjoyment in a pressure-free environment. Drawn from the St Martin’s community and beyond, the Occasional Singers sing two or three services a term, plus occasional choral workshops and other activities. The Music Department is led by the Director of Music, Andrew Earis, who oversees all the musical activity at St Martin’s – both liturgical music and concerts. He is supported by an Assistant Director of Liturgical Music, an Assistant Organist, a Choral Conducting Fellow and an Organ Scholar, as well as a Music Programme Manager, Music and Worship Coordinator, Concerts Manager and a number of other administrative support staff. Applications are now open for Alto, Tenor and Bass places in the Choir of St Martin-in-the-Fields. To apply, send your application form to jasmine.oakes@smitf.org. and email it to choirs@smitf.org. Auditions for St Martin’s Chorus and the Choir of St Martin-in-the-Fields are generally held in April, June and November, depending on availability of places, but applications are welcome at any time. 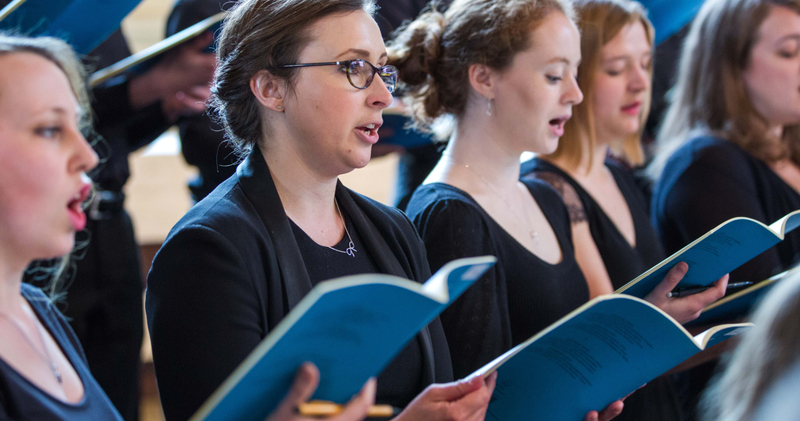 To register for information about future audition opportunities for St Martin’s Voices or the Choral Scholarship scheme please email choirs@smitf.org. Applications for the Choral Scholarships 2019-20 will open in Spring 2019.